I can always make a basic gravy. I use the pan after pan frying tofu or tempeh in garlic, usually with a cornmeal coating so when I was challenged to make a vegan gravy that was of equal if not greater to taste than a traditional turkey based gravy….IT WAS ON. I can’t believe the way this gravy came out. The combination of mushrooms, including the super savory umami flavor of porcinis….this gravy is OFF DA HOOK. Gluten free, and really easy to make. This over smashed potatoes was I N S A NE. If you are not a cooking type of person, just sauté everything together and put it in the blender, otherwise add your kitchen finesse and flare…it really is awesome and fail proof. Everything is organic and local if possible. In a large, hot, skillet over medium heat, add the olive oil, shallots, garlic and chipotle powder and sauté just until golden. Add the fresh mushrooms and also add the rehydrated porcinis (squeezed of any excess water) and sauté until golden and brown, about 5-6 minutes. At this point, you can remove ½ of the mushroom mix if desired you will add them back in to your finished gravy at the end. For smooth gravy, skip this step and you will blend all of the mushrooms. Add in the mirin or wine and sauté for an additional 2-3 minutes. Add the cornmeal in and incorporate well into the mushroom mixture, about 2 minutes. From here, add in the porcini broth and about a 1/2c of water/nondairy milk. Add in the nutritional yeast and stir well. If too thick, add water as needed. Place the mix into a blender and process until totally smooth- adjusting if too thick. If in the event, too much liquid is added, make up for it with nutritional yeast. Add in the fresh herbs, the reserved mushrooms if saved and serve immediately. 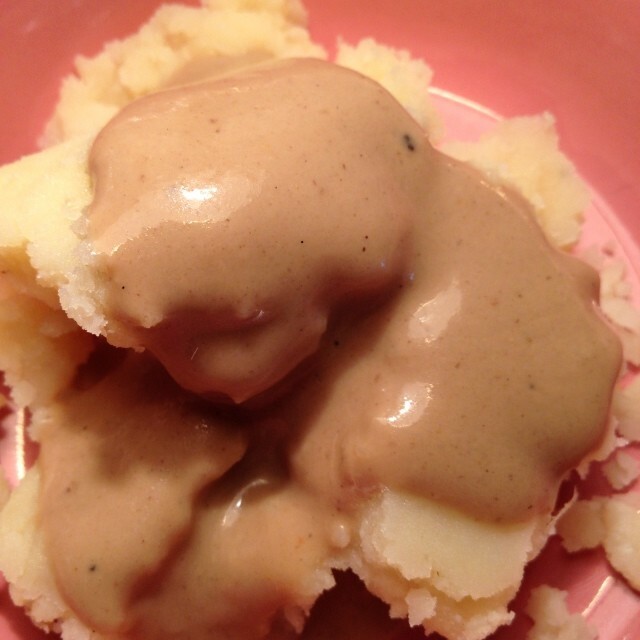 This entry was posted in Gluten Free, spreads and sauces and tagged animal free, dairy free, eat local, gluten free, holiday gravy, Mushroom gravy, mushrooms, save the planet, simple food, slow fast food, THE VEGAN LOVE PROJECT, vegan comfort food, vegan dairy free, vegan gravy, VEGAN LOVE, vegan thanksgiving, whole food love. Bookmark the permalink.